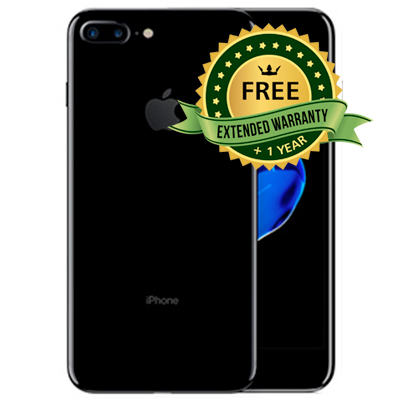 Any iPhone 7 and iPhone 7 Plus purchased in December will be covered by 24 month warranty, protecting your purchase for longer. Dual Camera - Twice the Opportunity. The iPhone 7 Plus doesn’t just offer more in the terms of size, but also offers two entirely new camera systems. The handset houses the same 12 megapixel wide-angle camera that’s on iPhone 7 as well as an innovative 12 megapixel telephoto camera providing higher-quality zoom and an all-new depth-of-field effect (coming soon). 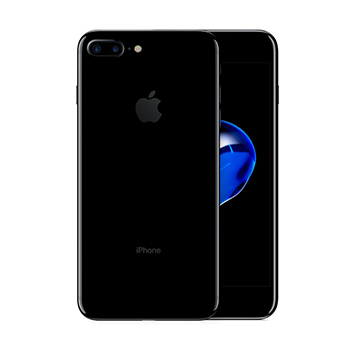 Offering a performance with speeds that are twice as fast as the iPhone 6, a longer lasting iPhone battery to date, and the innovative A10 Fusion chip with 64-bit architecture and embedded M10 motion coprocessor the iPhone 7 Plus offers design and functionality. Faster 4G LTE with the best worldwide roaming, up to 25 LTE bands you'll keep up to date wherever you are. The new iPhone 7 Plus is Splash, Water and Dust Resistant thanks to an IP67 rating and new customisable home button with Taptic Engine. The strong yet innovative unibody design is constructed with 70000 Series aluminium, whilst Touch ID offers security for your handset and Apple Pay alike. Apple's first ever stereo speakers with increased dynamic range also offers twice the audio output of the iPhone 6S allowing you to experience your music on a whole different level. The 5.5-inch LED-backlit IPS LCD Retina HD display of the iPhone 7 Plus offers 1920 x 1080 pixels (401 ppi), 67.7% screen-to-body ratio. With the same colour space as the digital cinema industry, the 7 Plus is able to deliver cinema standard colours and Apple's best colour management to date, alondside improved 3D Touch for a more responsive experience. The iPhone 7 Plus offers support for Voice calls over LTE, on third party apps including Facebook and WhatsApp and high-quality wide band calls your conversations will sound as crisp and clear as if you were face to face. No matter where you're calls come from you'll never miss a conversation again, thanks to the power of Wi-Fi calling which is now both are supported on even more carriers around the world.